Minakumari, a sitar player and singer-songwriter (http://minakumari.net) Born in Okayama, Japan, she debuted as a guitarist who played an active role in most of the lyrics and songs of the girls’ band Catch-up, which released three historic albums. She graduated from the Indian Languages department of the Asia-Africa Linguistic Institute of Tokyo, the India Diplus Tea College, and studied psychology at Christ College in Bangalore, India. She started to learn the sitar in 2003 under the distinctive sitar player Moniral Nag in Kolkata, India. She participated in various lives and recordings by such major Japanese artists as Chara, Akino Arai, Rip Slym and Gonzales Mikami (Gontiti). Also, she costarred with Hanaregumi, mabanua and Hirotaka “Shimmy” Shimizu in various improvisational forms. She successfully released her first solo album “Rasa” in 2008 and second album “Rang” in July 2012. Her third album is slated to be released this spring 2015. She gave consecutive performances in France in April 2009. 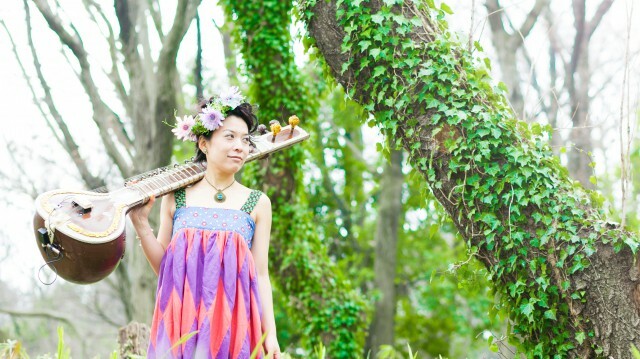 Blending her sweet voice in Japanese, Hindi and English into the fantastical sitar world, her songs are like new, but nostalgic fairy tales woven by Indian traditional instruments.